Fulham are chasing a third consecutive league victory on Saturday at Craven Cottage – something that comes round about as often the Supermoon. Last April (MK Dons, Preston and Cardiff) was the only time the Whites have recorded a trio of wins since relegation to the second tier. If this team is serious about challenging for the playoffs this is a statistic that needs changing fast. There hasn’t been much cause for optimism since our return to this level, and seldom have we produced performances that might suggest we have what it takes to launch an assault on the upper echelons of the division. In the last two games however, Slavisa’s team have been mighty impressive. The five goal rout against high-flying Huddersfield, followed by the 2-0 victory away at Brentford has certainly turned heads, and the impetus is now there to build on these results and start getting some real consistency. The midfield is looking very strong, with the new partnership of Stefan Johansen and Kevin McDonald working seamlessly in front of the back four. Sheffield Wednesday arrive at the Cottage in mixed form, but with the same amount of points as Fulham after 16 games each. They suffered a bit of a hangover from losing the playoff final against Hull City, winning only one of their first five games, plus a defeat to League Two Cambridge in the EFL Cup. Their form improved in September, but have struggled to put together a consistent run. Their last two games ended in defeats to Derby County and Ipswich Town, the latter of which was described by Head Coach Carlos Carvalhal as “lacking energy”. 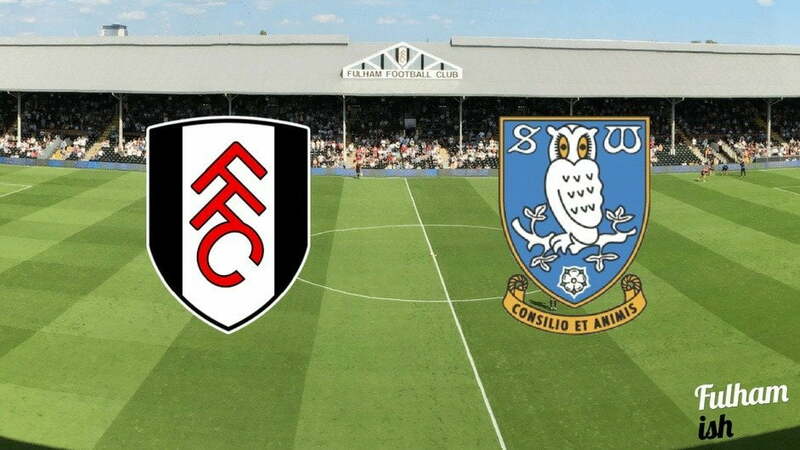 Last season saw Fulham lose to the Owls both times in the league and we also lost in the FA Cup 3rd Round at Hillsborough in January. Each of those matches were decided by just the odd goal and given the similar records of both teams, it’s likely to be another tight affair. Carlos Carvalhal tends to set up his team in a 4-4-2 formation, with Gary Hooper playing up top with one of either Steven Fletcher or Fernando Forestieri. Despite two out-and-out strikers often being on the pitch scoring goals has been the Yorkshire side’s main problem, only five teams in the league have scored fewer. Wednesday normally come out on top possession-wise, but expect Fulham’s five man midfield to see slightly more of the ball than our visitors. No apparent injury news means that we think Slav should choose to use the same eleven that started against Huddersfield and Brentford. If it ain’t broke etc. There’s been no surprise displayed that the Czech loanee’s return to Jokanović’s Fulham side has coincided with an upturn in the Whites’ fortunes, which is testament to just how good the centre back is, and how crucial he’s become to this Fulham team in his time here. He’ll have a real battle on his hands on Saturday however, when he comes up against Wednesday’s Gary Hooper, who was shortlisted for the PFA Championship Player of the Month in October. He’s been almost ever -present for the Owls this season, spearheading the attack and showing glimpses of the form that made him such a feared striker north of the border in his Parkhead days. If Kalas comes out on top in this one, the ball is in Fulham’s court to go on and win the game. Fulham have a tricky game after this one away at the Amex against red-hot Brighton & Hove Albion, so the team definitely need a result to carry into that. If we sustain the intensity of our last two matches on Saturday it should be a comfortable win, but we think Wednesday will try and contain us and therefore we expect it to be very tight. We’re gonna go for a scrappy 1-0 win for the Whites.